We compare, rate and review the best password managers including free and paid services. Having the same password for multiple accounts is asking for trouble, thankfully password managers are great tools for securely storing and remembering hundreds of different passwords. There are some good free options available and for a relatively small outlay some even better paid ones. Take a look at our FAQs cover answers to some commonly asked questions on password managers. $36/year A good alternative to free tools, but limited without the paid version. $29.99 per year Excellent password manager, very easy to use, secure and syncs across devices. Highly recommended. FREE (Premium $12 per Year) A very good free service and for just $1 per month the Premium is great value and well worth the money. FREE (Premium $39.99 per year) A safe choice if you want an easy to use password manager. Premium option has some nice extras such as automatic data backups and syncs to all devices. FREE A great, free, secure password manager but tougher to use than most and not for the non-technical. What are password managers, do I need one and which is best? Do you need a password manager? If so, should you pay or pick up a free one? Ask someone whether you need an antivirus program on your computer and you probably won’t be able to predict their answer with any degree of certainty. Depending upon their job role, personal experience and, perhaps, operating system of choice, they may say yes, they may so no. But is the question any clearer when it comes to password managers? With the exception of the most casual of computer users, I’d say just about everyone could benefit from using one and, in the case of the majority of people I know, an increasing number of them are. Password managers come in all shapes and sizes, from free versions to ones requiring a one-off fee or recurring subscription, from the rough diamonds to the polished masterpieces and from the open source community as well as the commercial side of the fence. But why would you even want a password manager? Well, the crux of the problem is the fact that most of us simply have too many passwords to remember these days, be it website logins, social media accounts, or whatever else. So, with so many credentials to remember, what are we to do? The wrong answers involve reusing the same password for every account, making very simplistic passwords and writing them down, to name but a few. The correct answer is using unique, lengthy, hard to guess passwords combining letters, numbers and symbols for each and every account. But how the heck are you supposed to remember them all? Enter the password manager! What’s it like, using a password manager? If you decide to use a password manager I suspect the first thing you will feel is relief. Relief that you now only have to remember one password. That will not only save you a whole heap of hassle every time you forget our existing passwords, but also help you out in the future too as most of these programs will even take the liberty of picking lengthy, complex passwords for all your new accounts in the future too. Not only that, but after you visit each of your favourite websites once many password managers will be able to log you in automatically, saving you the trouble of doing very much at all. So which password manager should you use? Just like the antivirus programs I mentioned earlier, password managers come in all shapes and sizes and some are better suited to one person’s needs than another. That’s where we come in with our detailed reviews, though I would urge you read our password manager FAQs first. Essentially, you only have a few choices to make. The main one of those is whether or not you wish to pay to use a password manager or not. And, to be totally honest with you, there is no technical reason why you should hand over any money for such a piece of software – there are many free password managers that do an excellent job. What you do get, by and large, with a commercial offering, is an easier installation, better support and a much nicer interface and all round experience. If technology isn’t your thing, that could be worth the price of admission. Otherwise, do consider the free alternatives, but read our reviews first as some are far more complex in operation than others. 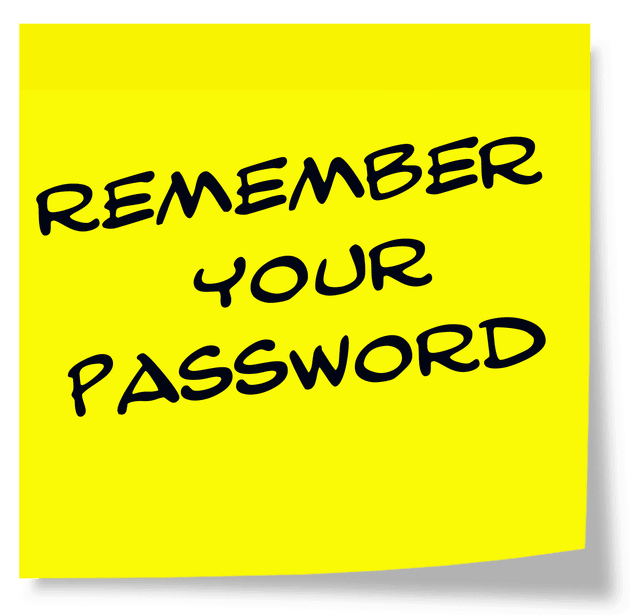 People will often opt for passwords that are easy to remember and simple to type. For example, “qwerty” uses the first six letters on the top line of the keyboard. Genius? Not so much, because many other people have the same idea. This makes “qwerty” one of the top five most commonly used passwords. If someone is trying to guess your password, such as in a brute force attack, “qwerty” might be one of the of the first ones they try. In reverse brute force attacks, hackers may use a list of commonly used passwords against a set of usernames until they find a matching pair. The rationale is that at least someone in the set won’t have bothered to come up with a strong password. Don’t let that someone be you. Wikipedia, and several other sites, have published a list of 10,000 of the most commonly used passwords, likely a similar list to the one an attacker would use. Check your passwords to make sure they don’t show up on this list. The table below shows the top 500 entries. Having a strong password isn’t just about making sure it isn’t on the above list. You have a better chance of avoiding being hacked if you create a unique, long password that uses a range of numbers, symbols, and letters. If you’re unsure, you can check your password strength using our password strength tool. And if you’re having trouble coming up with a password, our password generator tool has you covered.